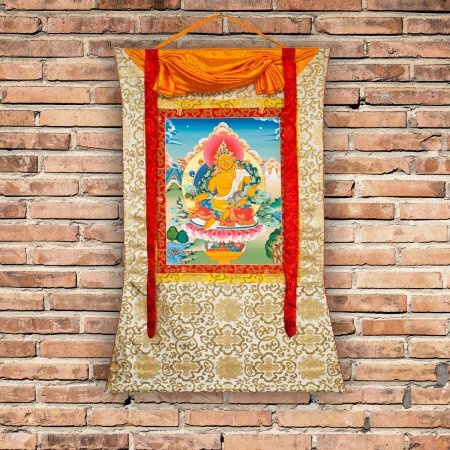 Buddhist Thangka "Jambhala" (also known as Dzambhala), the God of Wealth, Traditional Tibetan painting: real colors on canvas, image size — 35 x 45 cm, brocade size — 74 x 106 cm. 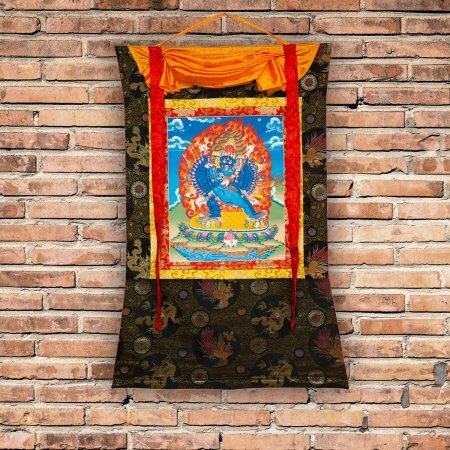 Buddhist Thangka "Jambhala" (also known as Dzambhala), the God of Wealth, Traditional Tibetan painting: real colors on canvas, image size — 51 x 66 cm, brocade size — 104 x 145 cm. 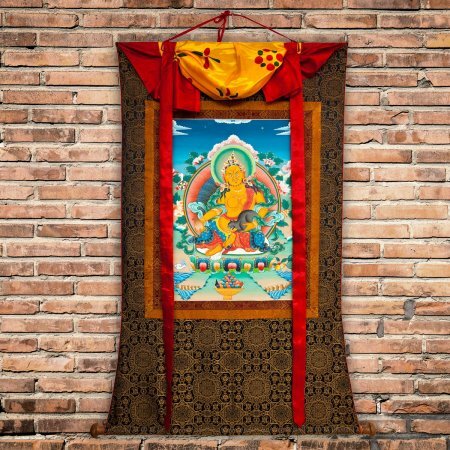 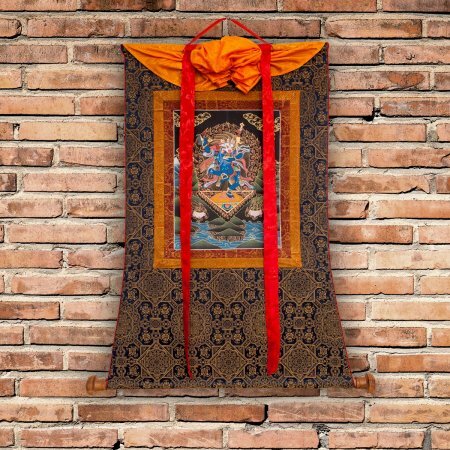 Buddhist Thangka "Senge Dongma" (also known as Simhamukha): Traditional Tibetan painting, real colors on canvas, image size — 27 x 36 cm, brocade size — 64 x 90 cm.